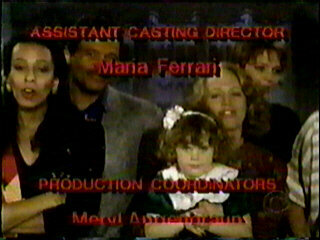 Here's Colleen Broomall as Dani, with Steve and Betsy, in the credits of an episode from the very early 80s. 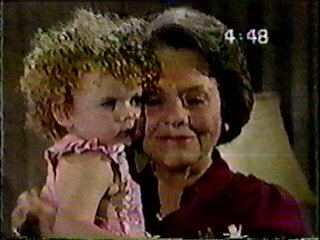 Colleen played Dani from the time she was an infant until she was about 6 or 7. 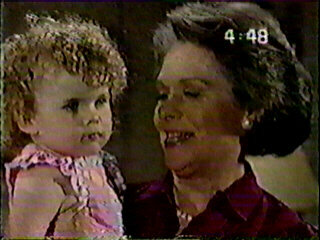 Betsy brings Dani to say hi to Nancy shortly after Chris' death. 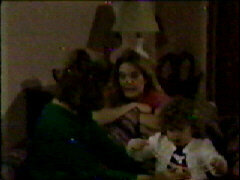 Nancy tells Betsy and Dani that the time Chris spent with Dani was one of the true joys in his life. Dani spends some time with her mom and Uncle Craig. Craig calls Dani his "little princess." Steve comes in and overhears Craig calling Dani *his* princess and flips out. 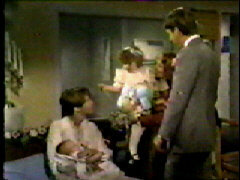 Betsy and Dani visit Sierra who is packing her hospital bag in preparation for Bryant's impending birth. Dani reaches over to feel the baby while Sierra and Betsy talk. Dani in the credits of a Christmas episode a few years later. 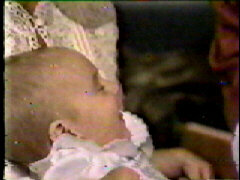 She's being held by Ellen, her great-grandmother. From left to right, there's Jessica, Roy, Ellen, Dani, Sierra, and the striped arm is actually Dani's mom Betsy. 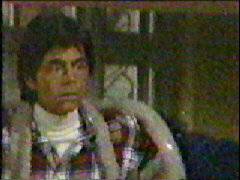 Here's Ashley Williams as Dani in 1996. Nikki, Dani, and ... some guy.